The Kallithea Springs of Rhodes. Beyond the medieval city and the beaches, a whole world of sights and experiences awaits. 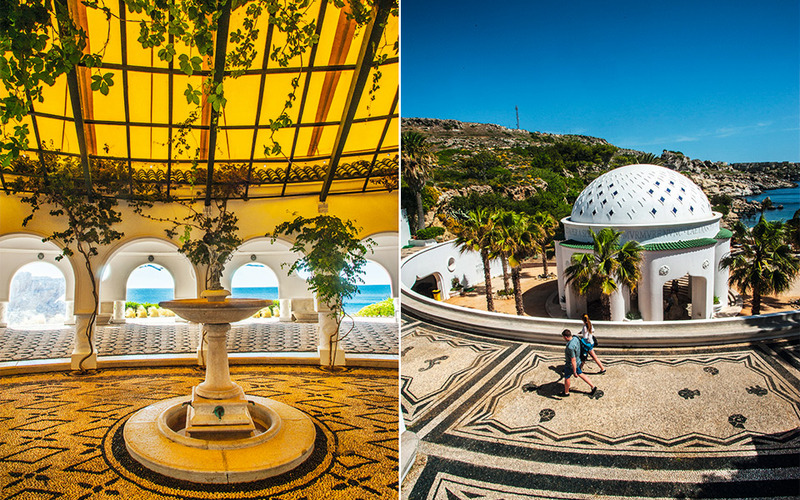 Designed by architect Pietro Lombardi and built by the Italians in 1929, the luxurious facilities of Kallithea Springs, located just 9k from Rhodes Town, have been attracting crowds of visitors ever since. 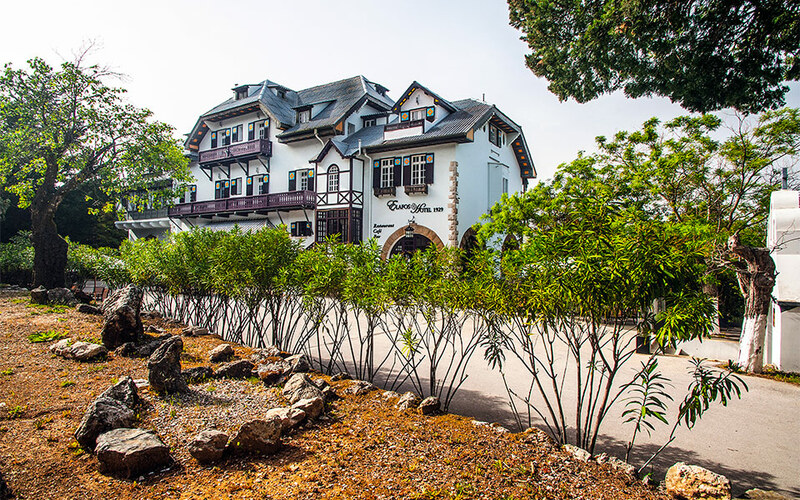 Now restored to their former glory, they make for an idyllic inter-war period setting, with their two rotundas (the bigger one boasting a 14m dome), flower-covered pergolas, a patio and even a fountain with a figure of Eros. The healing properties of the water (“tsilonero” as the locals used to call it), have been known since antiquity. The water had a laxative and diuretic effect, and people would camp in the area in order to use it. The therapy had to be followed for about 15 days: patients would drink the Kallithea water, often mixed with spring water from the island of Kos. They’d take walks around the gardens, enjoy their meals to live music, and when the water took effect, they’d hurry to one of the 82 toilets in the complex! Today, Kallithea Springs retains its cosmopolitan air, often hosting weddings, art exhibitions and other events; when night falls, many just come to drink at the bar, right next to the sea. The house of plates at Koskinou. 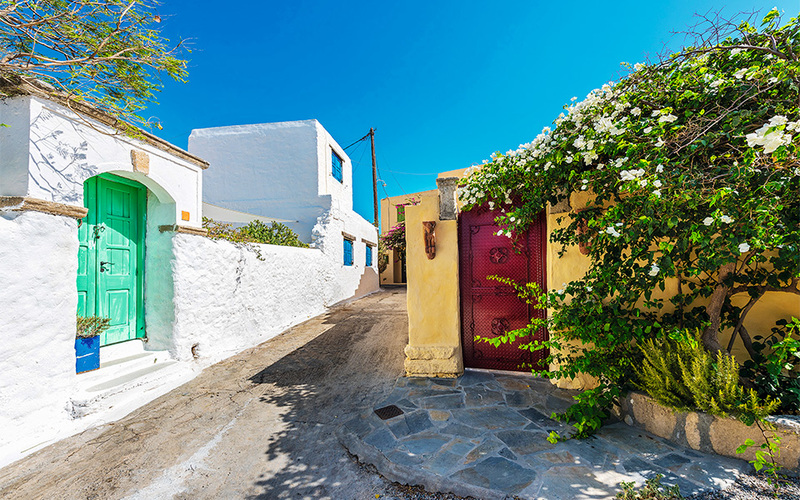 The stone-paved alleys in the village of Koskinou, just 7k from Rhodes Town, are pleasant for strolls. The houses here are among the few in Rhodes that retain the old-style architecture. You can see large limestone doorframes (pyliones) leading to flower-filled patios, and even the newer houses are painted in bright colors. Indoors, they have pebble floors, and usually a main room with a big arch and auxiliary spaces. The piatelotichos – a big wall covered with the typical Rhodian decorative plates – is impressive, and so is the roof made from wooden beams covered with patelia, a clay-rich soil that doesn’t absorb water. You can see all these in the Koskinou Traditional House, built in 1902. 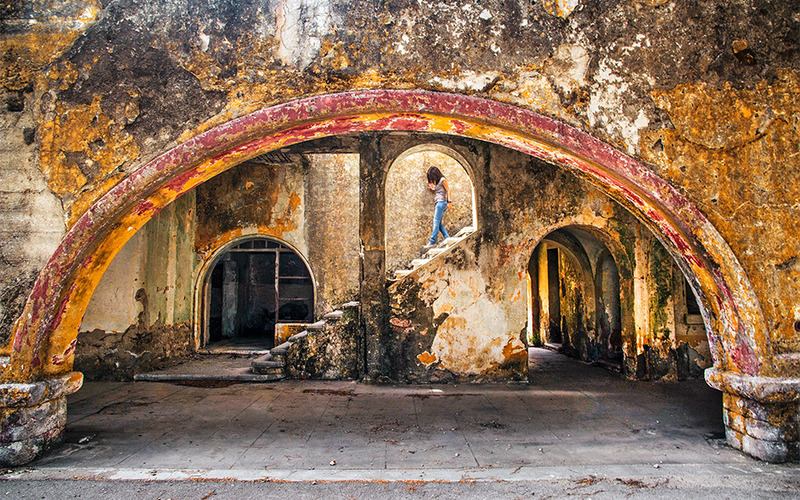 Of the residences on the island that are open to the public it’s one of the most impressive. Rhodes used to have a great pottery tradition – centered around the village of Archangelos – and was best known for its decorative plates; all the more reason to stop by the Artistic Village, a multipurpose space where Nikos Simiakos, his wife Themi and their son Yannis create works of art made out of clay, iron, glass, wood and other materials. 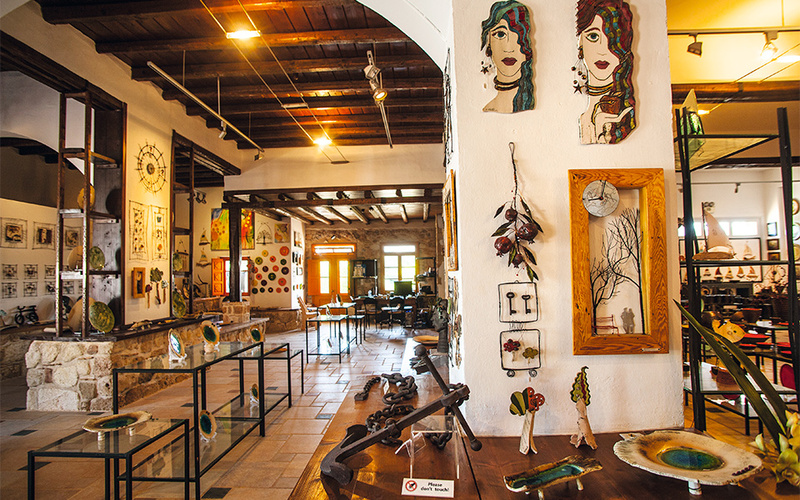 Here you can watch the artists at work, both in the ceramic workshop and the painting atelier, and check out their small ceramic art exhibition space. You’ll also find paintings, sculptures, decorative objects and even jewelry for sale. The Rodini Park at Rhodes. Just outside Rhodes Town, a mere 3k along the road to Lindos, you’ll reach Rodini Park, one of the oldest landscaped parks in the world, thought to be the site of a school run by the great orator Aeschines. Lose yourself in this green oasis with its flowing water, wooden bridges and ancient plane trees with their enormous, gnarled trunks, and don’t be surprised if you encounter deer, peacocks and ducks. Rodini Park was also the site of a Hellenistic necropolis dating from the 3rd c. BC; beautifully decorated tombs can still be seen – such as the impressive 28m-long Tomb of the Ptolemies. Opt for sneakers or hiking boots, as many spots are slippery and the dense vegetation can make a stroll here seem like a mini-adventure. The bee museum at Rhodes. At the Bee Museum, just outside the village of Pastida (15k from Rhodes Town), you can see the inner workings of bee colonies thanks to transparent beehives. 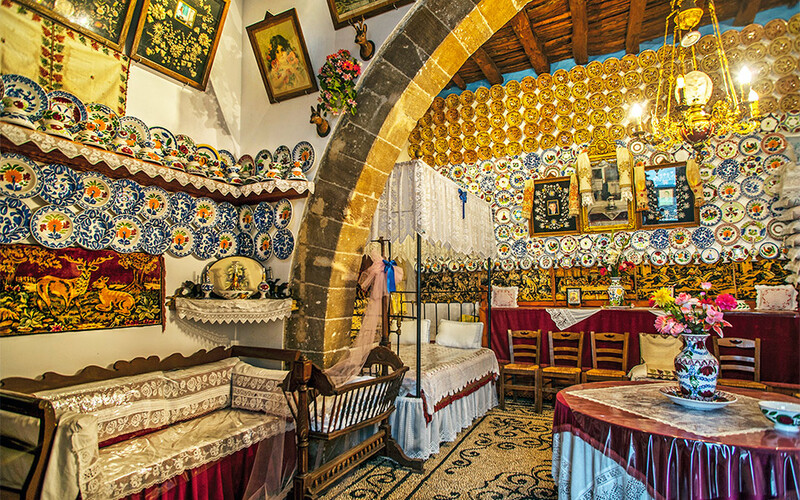 Through a brief but interesting tour and interactive activities – including exciting games for children – you’ll also learn about Rhodes’ centuries-long apiculture tradition, as well as the importance of bees in general. 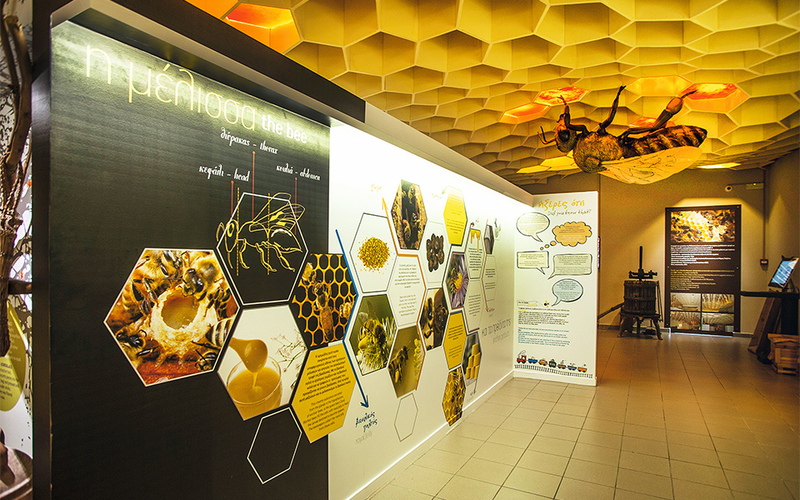 The museum shares a roof with Melissokomiki Dodecanisou, a company that produces honey and honey-based products, collaborating with 70 beekeepers from Rhodes and the surrounding islands. Don’t forget to visit the outdoor apicultural park and stop by the shop to buy honey! 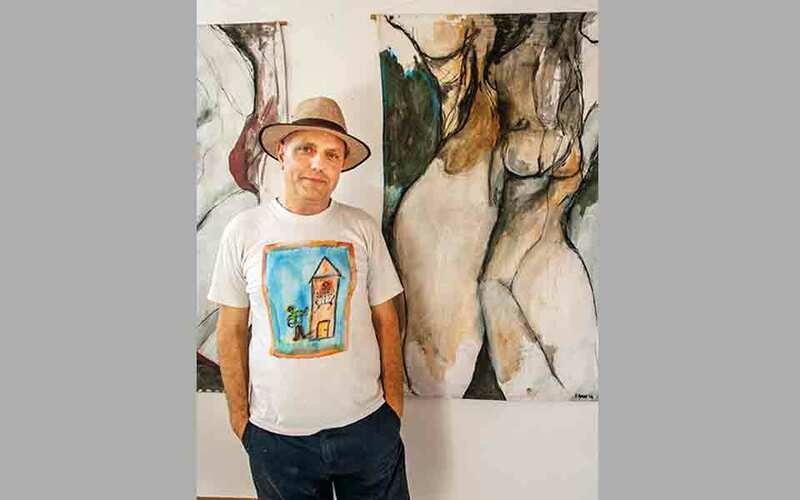 Mr. Damon Papakiriakou in his art space "Art Park". Damon Papakiriakou is a painter, sculptor and musician. After spending several years in Denmark, he returned to his homeland and created an idiosyncratic space called Art Park outside the village of Archipoli (33k from Rhodes Town). 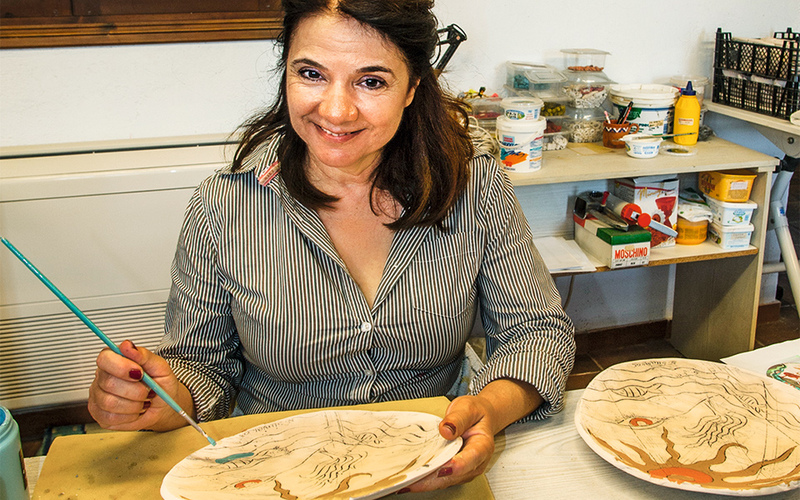 On an estate with olive trees, where all you can hear are the sounds of birds and cicadas, artists from all over the world come to work, drawing inspiration from nature; many leave behind one of their works as a gift. You might see them in action as you visit the park’s permanent sculpture and painting collection or browse through the temporary exhibits. Don’t skip the artworks adorning the garden: each one was created by two artists, one Greek and one Turkish, as a symbol of friendship between the two peoples. The votive offerings at Panaghia Tsampika. Tsampikos (for boys) or Tsampika (for girls) is one of the most common first names in Rhodes. While it’s extremely rare in the rest of Greece, children here are often baptized in honor of the locals’ beloved Virgin Mary, Panaghia Tsampika, a miracle worker in matters of fertility. The Monastery of Panaghia Tsampika, with its 14th-c. chapel, is located between the villages of Kolymbia and Archangelos, 30k from Rhodes Town, on the exact spot where once stood the ancient temple of Eileithyia, the goddess of childbirth, to whom women sacrificed small animals in the hope of an easy labor. To visit the monastery, you’ll have to climb 300 steps; childless women climb them barefoot as a declaration of faith. It’s worth the effort, because the view from up there is breathtaking. 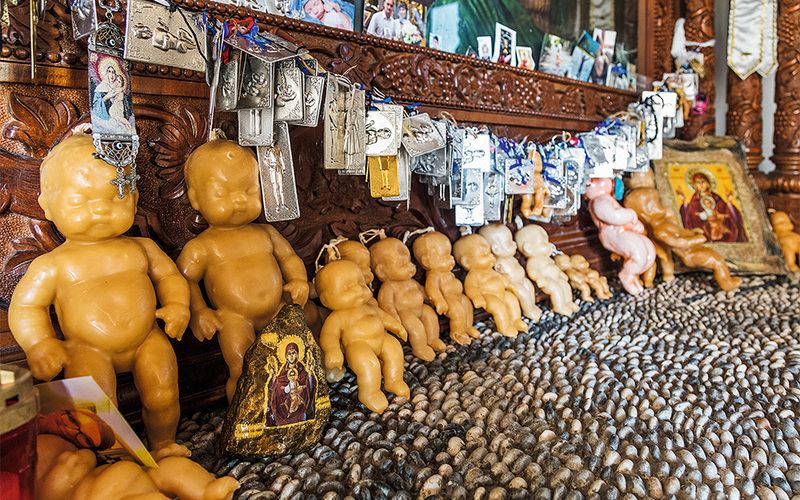 The icon of the Panaghia Tsampika, which is considered miraculous, can be found in the newer monastery by the road, surrounded by votive offerings, including wax figurines of infants. The Monastery of Kyra tou Filerimou (Lady of Filerimos). The Epta Piges (Seven Springs) at Rhodes Town. There are many reasons to make the 15k drive from Rhodes Town to Filerimos but in the end, what you’ll probably remember most vividly are the incessant mating cries of the male peacocks. In their company, you’ll climb the hill where the ancient city of Ialysos was situated and where today stands the 14th-c. Monastery of Kyra tou Filerimou (Lady of Filerimos). 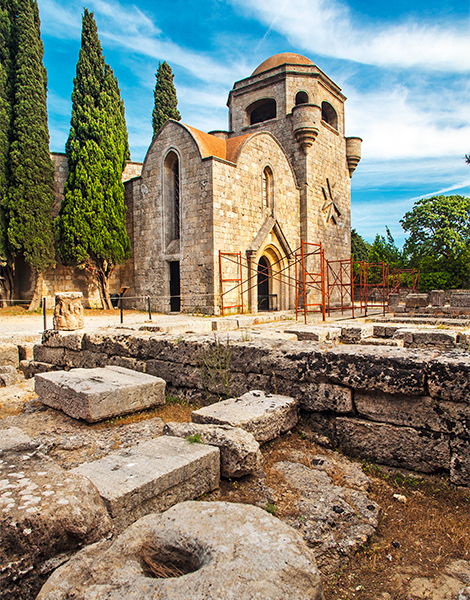 Around this restored Gothic church, dedicated to the Virgin Mary, you’ll see the ruins of an ancient temple of Athena and of an early Christian church. At the base of the hill, take the Path of Golgothas: a stone-paved footpath with 14 sculpted Stations of the Cross, which will lead you to a massive cross with an unobstructed view over part of the island and, in the distance, the Turkish coast. 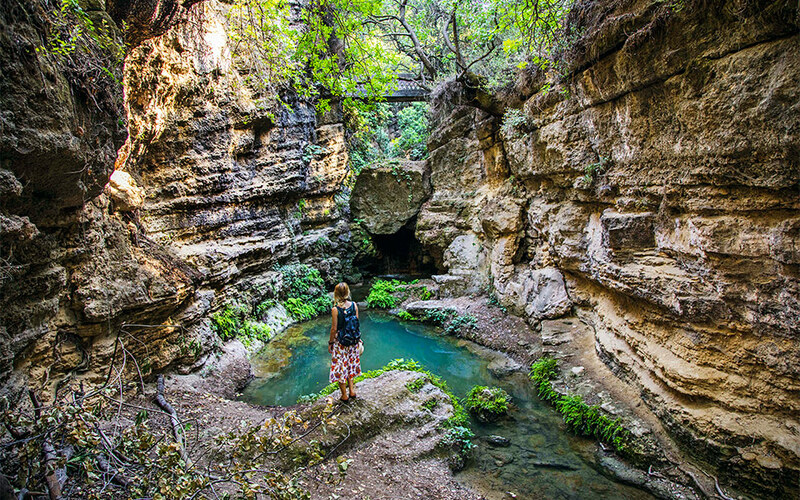 Located 26k from Rhodes Town, Epta Piges (Seven Springs) is the ideal place to find yourself at midday during the summer: the ravine, where water gushes from seven different spots, is crowded with plane trees creating cool shade. Back in 1930, the Italians made sure to exploit the spring waters, installing an aqueduct to transport water to what was then San Benedetto (now Kolymbia), 4k to the east. Today, this is the main attraction of the area. The water is channeled into a narrow, high, 150m-long tunnel and is captured by a small dam, forming a lake. Feel free to take off your shoes and follow the same trajectory. The water is ankle-deep and the temperature in the dark tunnel is always cooler than outside. If you prefer to stay dry, there’s also a footpath. Ialysos, tel. (+30) 2241.092.202, open daily 8:00-20:00, admission: €6. The Platanos Taverna at Lachania. Most people probably haven’t seen High Season (1987), a film starring Jacqueline Bisset and Irene Papas and featuring the picturesque square of the village of Lachania, with its 1703 Ottoman fountain and its well-kept alleys. Anyone that travels the 70k here from Rhodes Town, though, is sure to be mesmerized. By the early 1980s, Lachania had become almost dormant as most of its residents had emigrated to the US and Australia. It was foreigners who began to rent these empty houses and who gradually took up the task of restoring them. Nowadays, about 20 non-Greeks live in the village permanently and another 50 come and go throughout the entire year. “They rehabilitated Lachania, and it was for them that my grandfather opened the café in 1982,” says Michalis Christodoulou, a young man who runs the Platanos Taverna with his father and his brother. There, next to an enormous plane tree (as well as the 19th-century Aghios Georgios Church and a fountain dating from 1801), you can sit and try eggs with french fries, this simplest of dishes that, thanks to top-quality ingredients, has become a specialty here. Mr. Michalis Dramountanis at his field. Michalis Dramountanis is a child of nature. He grew up on his father’s farm and has chosen a similar path for himself: he owns three fields near Kremasti, amounting to a total of 1.5 hectares, which you can visit. Using entirely natural methods, he grows around 20 species of medicinal herbs, such as sage, marigolds and purple ruffles basil, which he uses as the main ingredients for the oils and wax-based ointments he prepares. “I plant trees that help each plant and I leave the surrounding vegetation intact, as it would happen in nature – she knows best,” he says. You can find his products in various shops, or you can call him. The exterior of the restored Elafos Hotel and Cafe. The hotel retainds much of its past splendor. 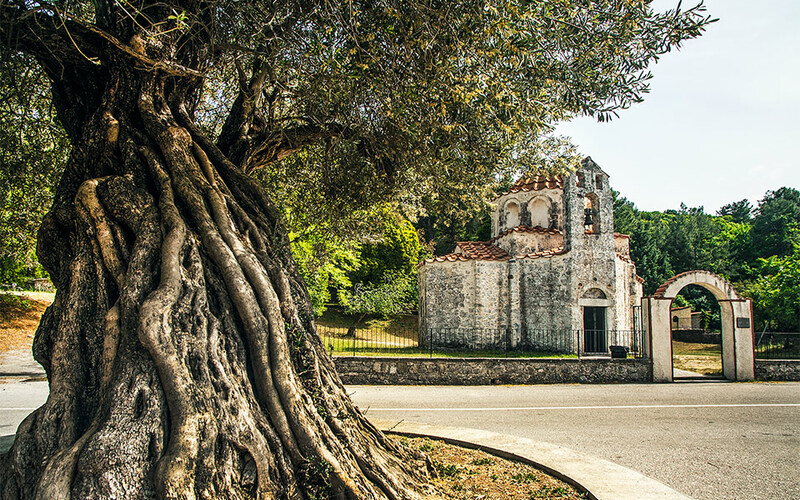 The Chapel of Aghios Nikolaos Fountouklis dates from the 15th century. This thick pine forest, at an altitude of 800m on Mt Profitis Ilias, will make you forget that you’re on an island. The 9k route starts at Eleousa (36k from Rhodes Town) and passes the 15t-c., four-apse Chapel of Aghios Nikolaos Fountouklis, where it’s worth stopping to see what’s left of the Byzantine murals that were painted over by the Italians. Further ahead, you’ll reach a plateau with an unobstructed view of the coast. Here, you’ll find two buildings of particular interest: Elafos and Elafina (meaning “buck” and “doe,” respectively). They were named after the fallow deer that live in this forest. Built between 1929 and 1932 and styled after north Italian chalets, they were initially used to host officials who visited the island. 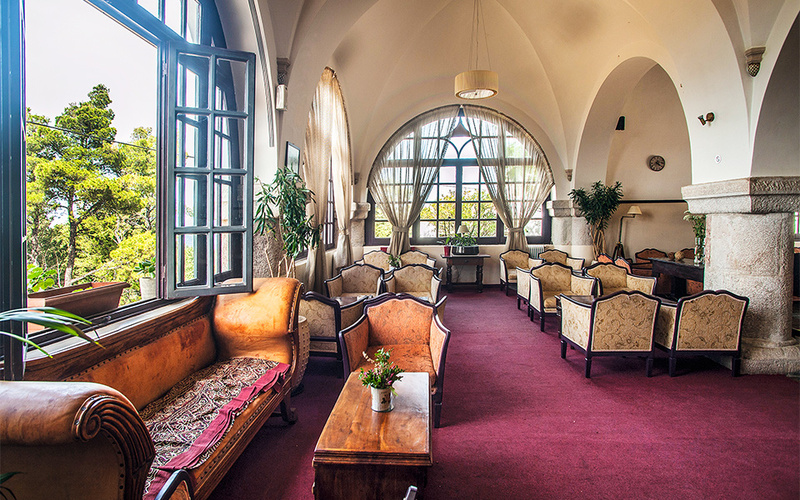 Elafos has been restored and now operates as a hotel and café; it is popular with locals, especially in the winter. In the summer, you can sit and cool down in the square before either continuing on the dilapidated Villa de Vecchi, which was the country home of an Italian governor, or following the path to the village of Salakos. The island’s Italian rulers established four farming villages, which they populated with settlers: San Benedetto (present-day Kolymbia), San Marco (now Aghios Pavlos), Peveragno (Kalamonas) and Campochiaro (Eleousa). Their goal was to control agricultural production and to impose their rule on the island’s countryside. Eleousa, located at the foot of Mt Profitis Ilias (36k from Rhodes Town), is an especially interesting sight. Built in 1935, it was home to the northern Italian foresters who replanted and looked after the forests. 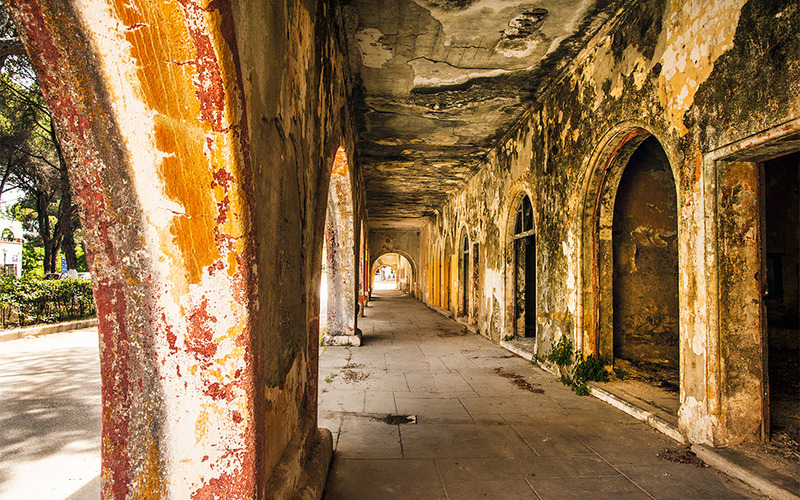 Among the deserted buildings, you’ll see the Church of Aghios Charalambos, as well as an impressive building which used to be the village’s market house, featuring galleries, arched windows and rooms with big fireplaces. Next to it stands a building that first operated as a cinema, then became the Fascist Party headquarters (Casa del Fascio) and was finally converted into a sanatorium in 1947. The third building you’ll see was once a school; today, it houses the fire service. 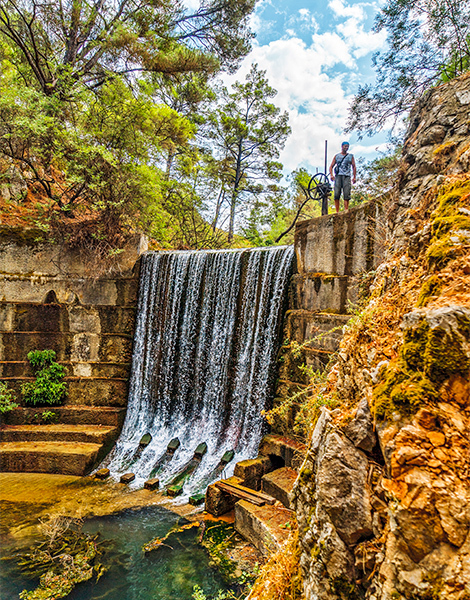 A few meters further ahead, you’ll also come across a huge tank that gathers water from the Kokkinisti spring. This is one of the few habitats of the gizani, a small freshwater fish endemic to Rhodes.